Free Sample Practice Math Worksheets for K-6 Children! Providing almost 20 years of math help for teachers and parents! Get MathGen software for Windows 7 and Windows 10 and make unlimited custom printable math worksheets! Used by K-6 Teachers to Improve Student Basic Math Skills! 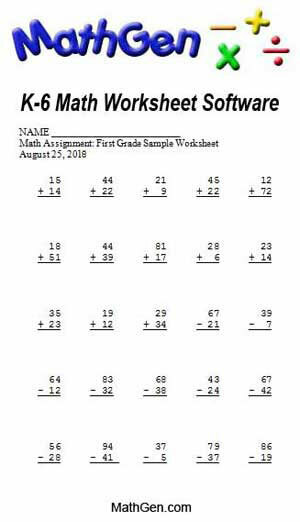 Free Sample Math Worksheets Here. Copyright © 2018 Garner Systems - MathGen.com. All Rights Reserved.